Grander Cigar is a cigar company that creates handmade wedding favors for weddings in the Tavares, Florida area. 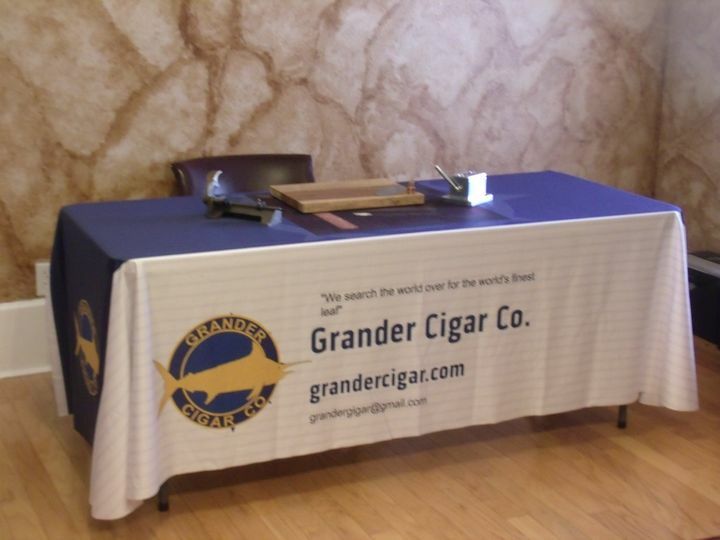 The team at Grander Cigar manufactures hand rolled cigars that will help to make your event an extraordinary occasion. They will arrive at your wedding with some of the finest tobacco, as well as an exotic roller to hand roll cigars on-site at your reception. Your guests will enjoy a memorable experience, as well as have a hand rolled memento of your wedding day. Grander Cigar specializes in providing weddings with a unique on-site wedding experience, as well as wedding favors for guests to take home. A professional will arrive at your wedding to hand roll authentic cigars for your guests while explaining the history of the cigar. Guests can enjoy observing the art of hand rolling cigars, and will also be given a free cigar to take home from your event. They provide only the finest tobacco to make the highest-quality and best-tasting cigars. Grander Cigar also offers hand rolling cigars and party favors for a variety of other events. Their team services weddings as well as birthday parties, anniversaries, corporate events, and more. 9-5 Monday - Friday special accommodations for after hours by request.